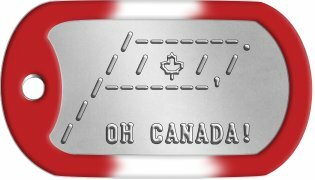 Show your patriotic spirit with a set of Candian dogtags with your favorite patriotic expression! 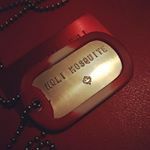 We are the only dogtag manufacturer to emboss the Maple Leaf character and have red and white silencers! 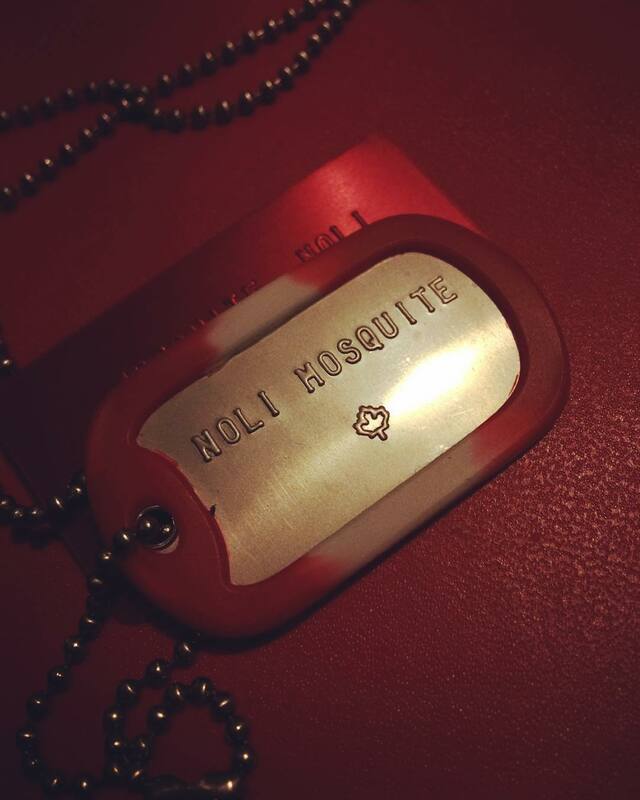 You may also be interested in our Canadian Military ID Disc Dog Tags. 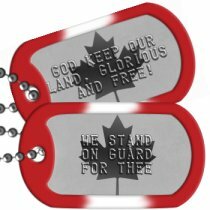 Customize to Buy your Canada Patriotic Dog Tags now! All orders are shipped within 1 business day and are usually delivered within 1 week (in North America). 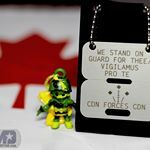 If you need any assistance creating or ordering your Canada Patriotic Dog Tags please contact us directly, we are here to help!